Not related to the 403, but most interesting. how the Technical and Ground Forces all worked together to create success in their endeavors, which ultimately won the war. Without cooperation between all seven departments, nothing could have been accomplished. I’m pleased to present this Guest Post from gpcox addressing how the Technical and Ground Forces all worked together to create success in their endeavors, which ultimately won the war. Without cooperation between all seven departments, nothing could have been accomplished. As readers of my blog, pacificparatrooper.wordpress.com are aware, my father, Everett “Smitty” Smith was a sharpshooter trained as a paratrooper and gliderman with the 11th Airborne Division in WWII, this put him in the Ground Force. But, neither he nor the rest of the soldiers would have gotten very far without the Technical services as each department of the Army worked to support the other. Should one fail in the chain, a devastating domino effect might hinder or stop the rest. 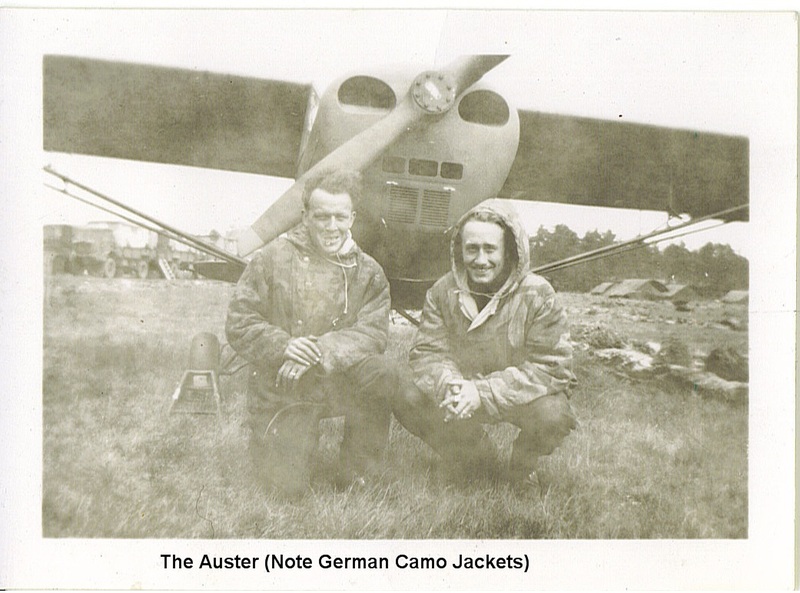 The Auster was used during WWII by the RCAF primarily as an Air Observation Post (AOP). 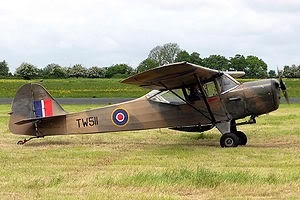 It was also used for communications and casualty evacuation purposes. 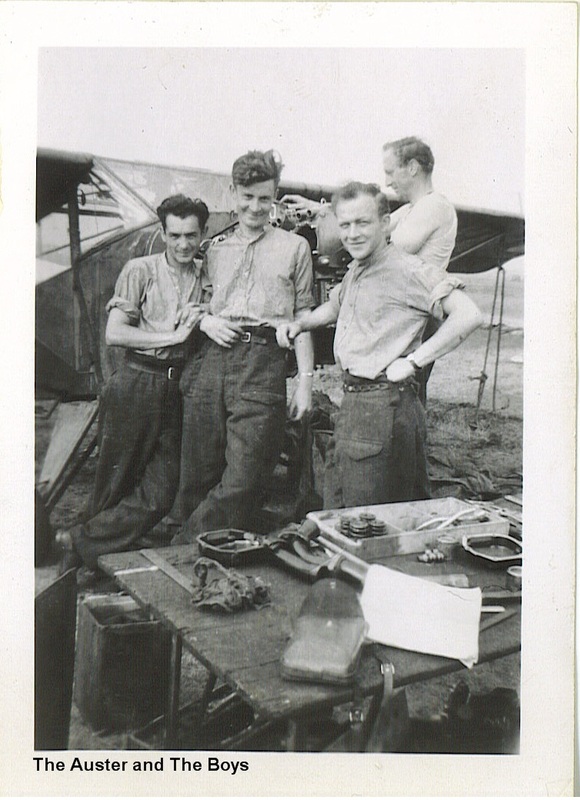 I have some pictures from my father George White’s collection of the ERKS working on 127 Wing’s Auster. 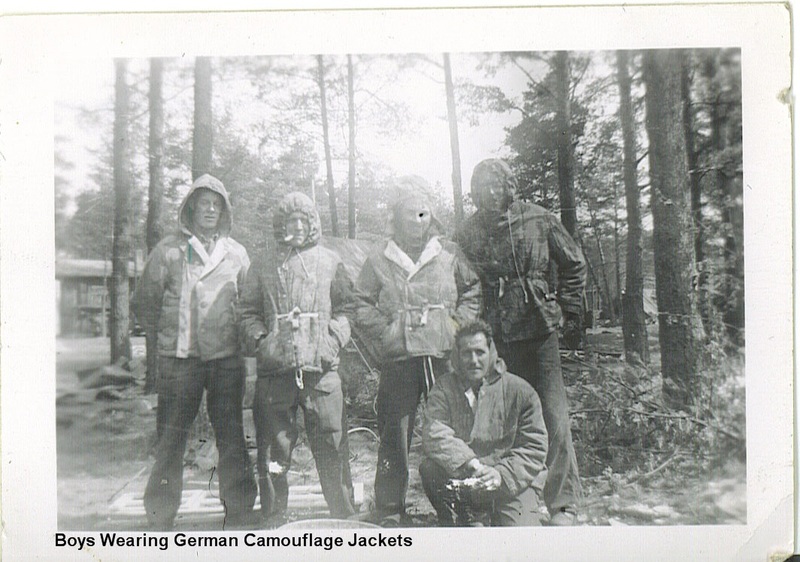 The boys are wearing captured German camouflage jackets. 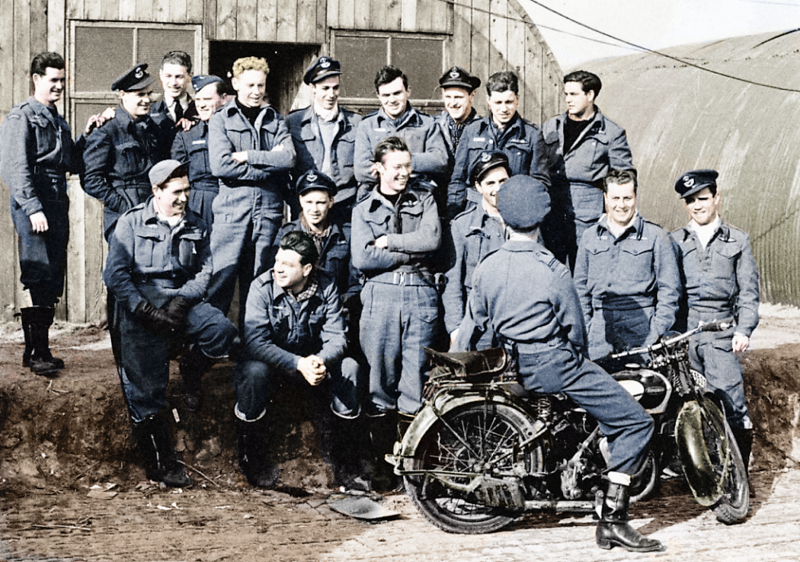 The journal I have mentions that RCAF personnel in their dirty blue battle dress were often mistaken for Germans. 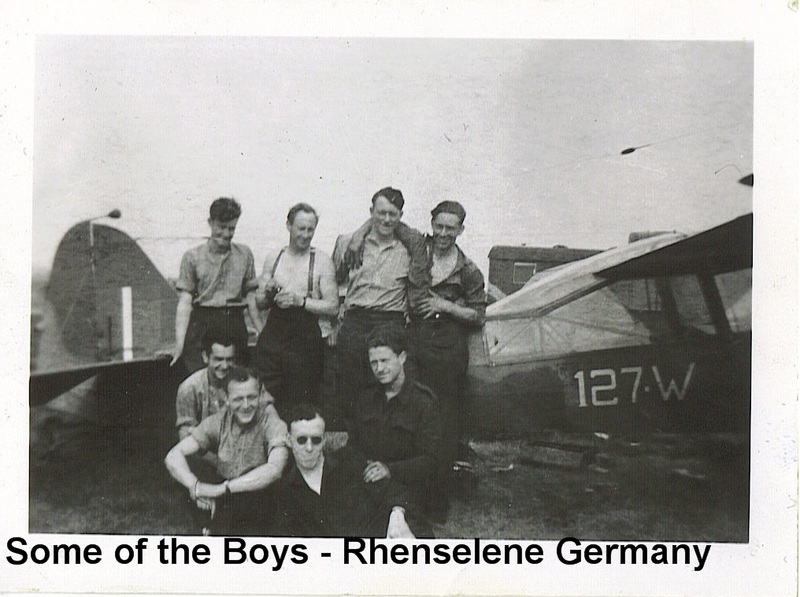 I often wonder if the boys felt safer wearing German camouflage jackets as opposed to dirty RCAF battle dress. 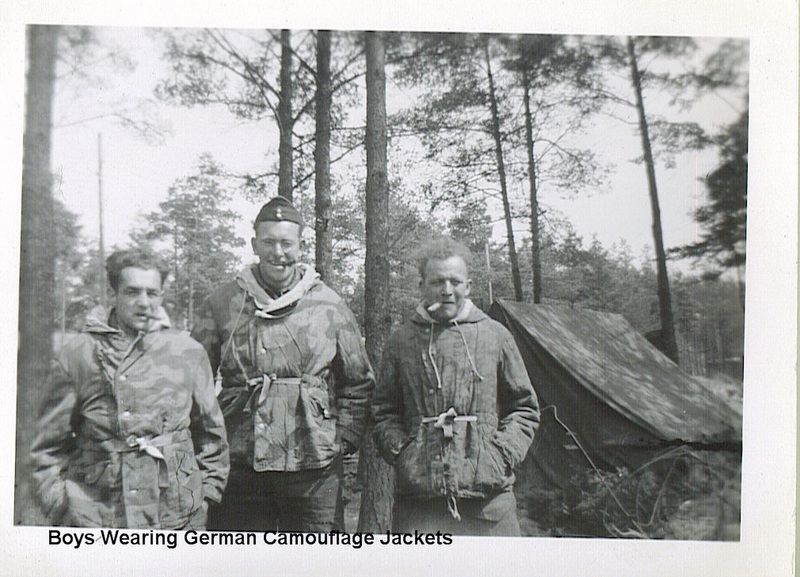 The German jackets look very comfortable and practical. 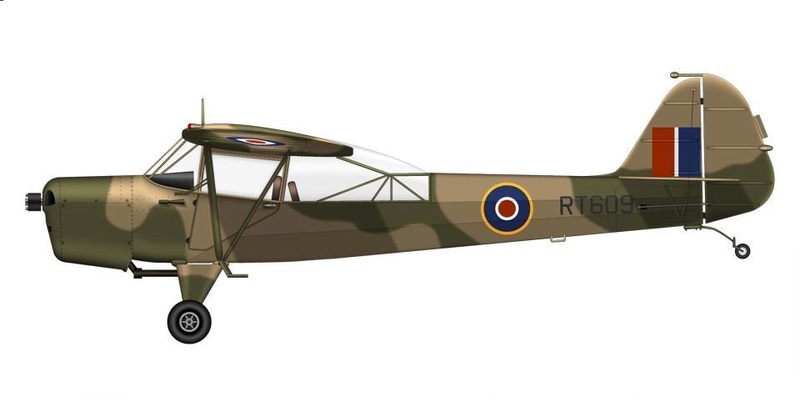 The aircraft in the photo above is a Taylorcraft Auster Mark V.
Auster series aircraft gave invaluable service in the war in southern and northern Europe. 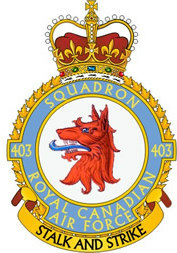 At their peak, Austers equipped 19 squadrons, often using their remarkable short-field performance to operate very close to the front line. • Crew: Pilot plus observer sitting side by side and one crew (if needed) in the space behind the two front seats.